해안사구는 해류에 의하여 사빈으로 운반된 모래가 파랑에 의하여 밀려 올려지고, 그곳에서 탁월풍의 작용을 받은 모래가 낮은 구릉 모양으로 쌓여서 형성되는 지형을 말한다. 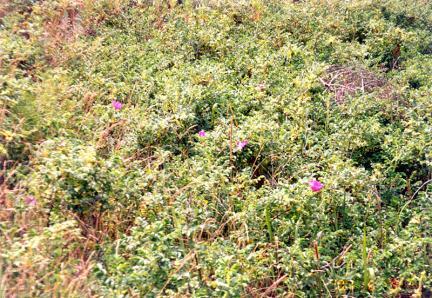 신두리 해안사구는 태안반도 서북부의 바닷가를 따라 형성된 길이 약 3.4㎞, 폭 약 0.5∼1.3㎞의 모래언덕으로 내륙과 해안의 완충공간 역할을 하며 바람자국 등 사막지역에서 볼 수 있는 경관이 나타나는 곳이다.신두리 해안사구는 신두리 해안 만입부의 사빈 배후를 따라 분포하고 겨울철에 우세한 북서풍의 영향을 받는 위치에 있으며, 인접해역이 대체로 모래로 구성되어 있어 간조시 노출된 넓은 모래갯벌과 해빈의 모래가 바람에의하여 해빈에서 육지로 이동되어 사구가 형성되기에 좋은 조건을 가진 지역이다. 신두리 해안사구는 전사구, 사구습지, 초승달 모양의 사구인 바르한 등 다양한 지형들이 잘 발달되어 있다. 해안사구에는 해당화 군락, 모래 언덕의 바람 자국 등 사막 지역이 아니고서는 볼 수 없는 독특한 경관과 조류의 산란 장소로 생태적 가치와 경관적 가치가 뛰어난 해안의 퇴적지형으로 특징지을 수 있으며 우리나라 최대 규모의 해안사구로서 사구의 원형이 잘 보존되어 있고, 사구의 형성과 고환경을 밝히는데 학술적 가치가 크다. 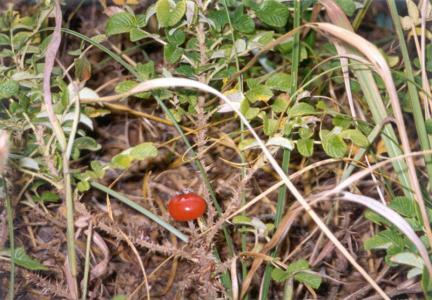 A coastal dune is formed with sand carried by ocean currents to the beach and stuck on the shore by the wind. 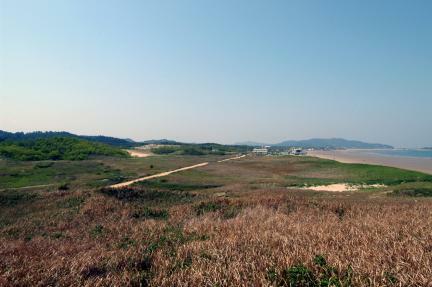 The dune in Sindu-ri is formed along the northwestern coast of the Taean Peninsula, measuring 3.4km long and about 0.5-1.3km wide. 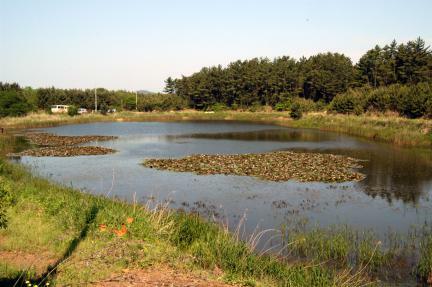 It acts as a buffer zone between the land and sea and, like a desert, shows ripples in the sand caused by the wind. 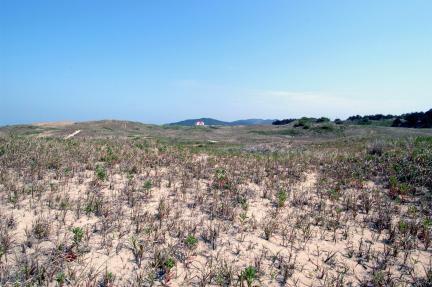 The Sindu-ri dune is located behind the beach of the Sindu-ri arm of the sea. 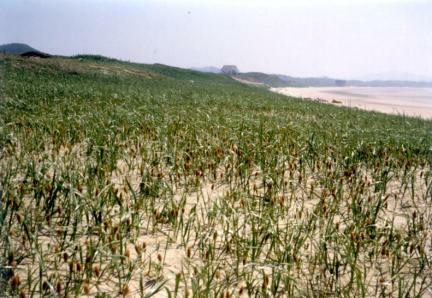 The conditions are favorable for the formation of dunes since the area is exposed to the prevailing northwestern wind in winter; since the nearby area is mostly composed of sand, the wide tidal flat and shore are exposed at low tide, allowing the wind to carry the sand to the land. 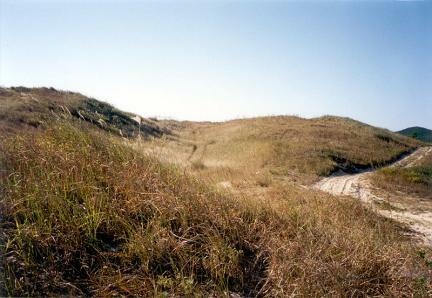 The sand dune clearly shows the development of a varied topography including the fore dunes, dune wetland, and barchans, which are arc-shaped sand ridges. 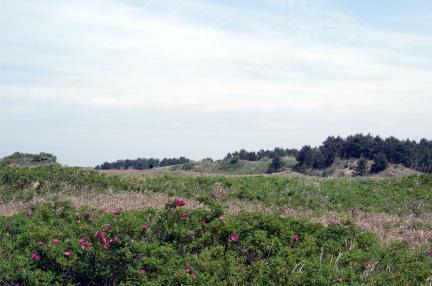 The Sindu-ri coastal dune is a feature of the sedimentary topography of the seashore. 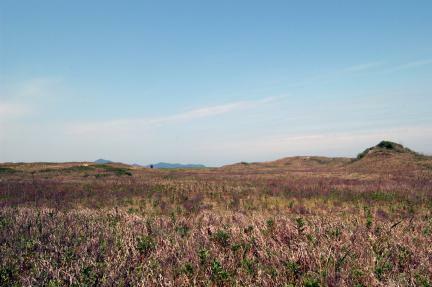 It is well-preserved, serving as valuable material for the study of sand dune formation and the paleoenvironment as Korea’s largest sand dune of its kind.